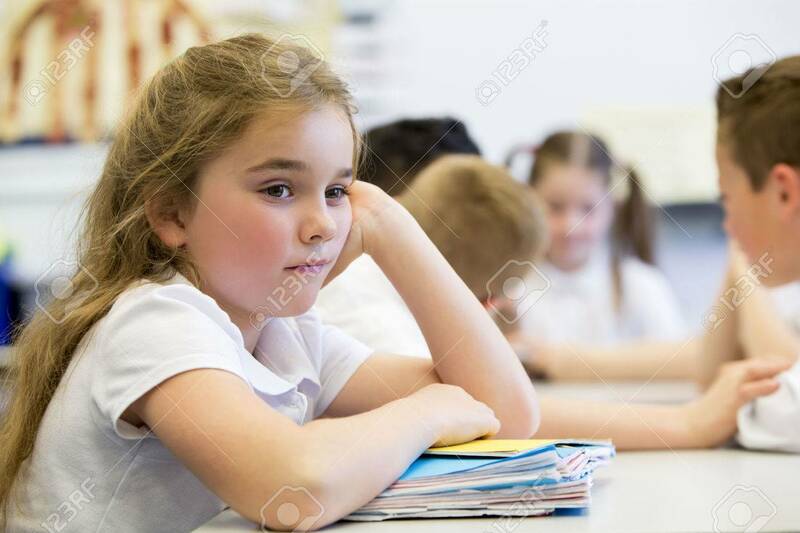 A Close Up Shot Of A Little Girl At School Who Looks Distant And Upset. Royalty Free Fotografie A Reklamní Fotografie. Image 43081797.